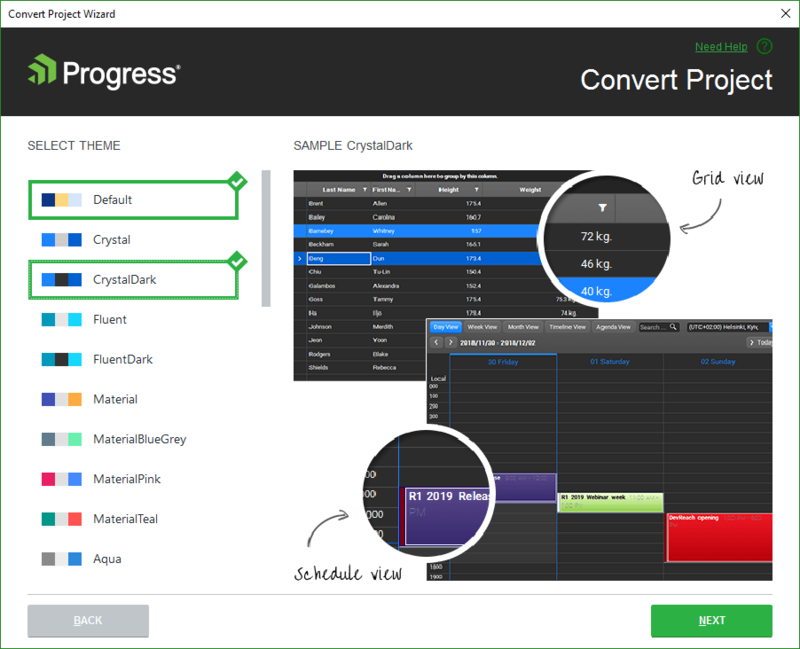 The Convert Project Wizard lets you tune your project's use of Telerik UI for WinForms. Specify which assemblies your project would use. When selecting a Telerik UI for WinForms assembly all dependent controls are selected automatically and vice-versa. GET LATEST button is available only when there is a newer version released on our web site. 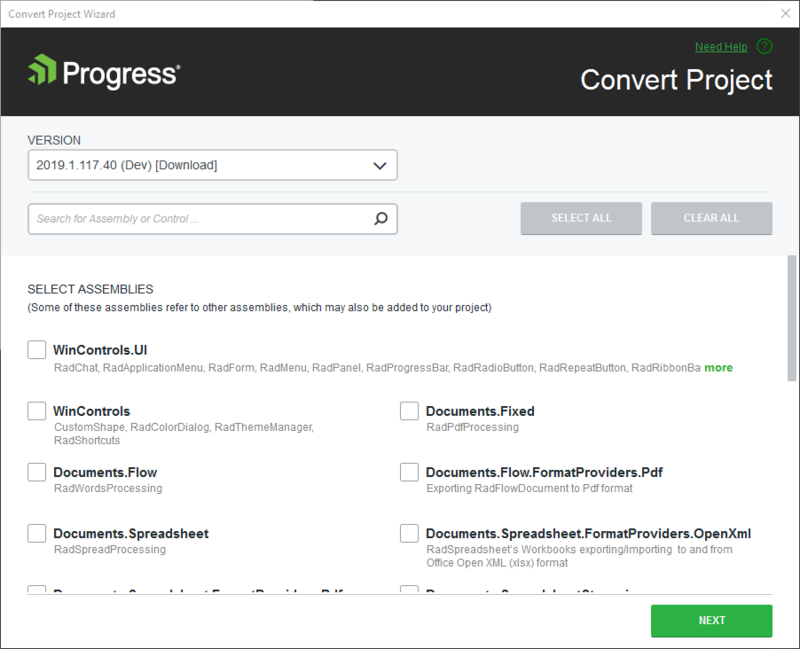 If you prefer the Telerik assemblies to be copied into your solution folder, the Copy referenced assemblies to solution and source control option could be selected only into the Visual Studio Extensions Options. Select which theme will be applied to your project. Check the content of each theme or see the preview of it when select it into the Convert Project. 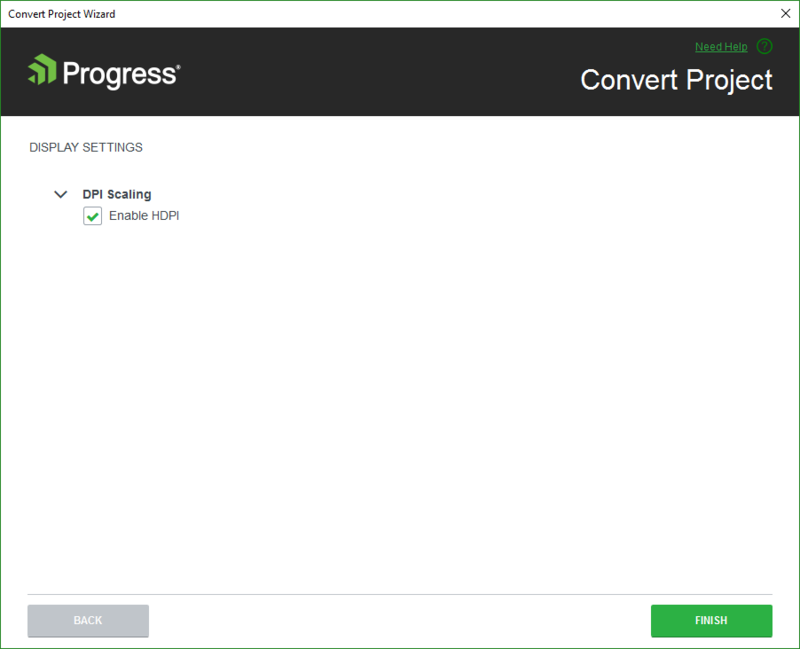 Select the "Enable HDPI" option in order to add support for high DPI awareness in your application. A default application-wide theme gets set according to the selected theme. An app.manifest file is included to your project if you have selected the "Enable HDPI" option.